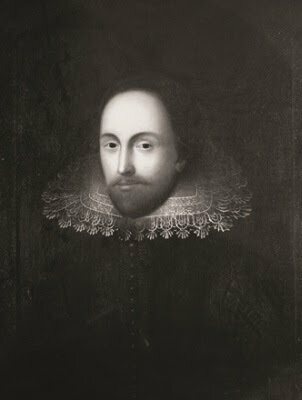 Just in time for the Bard’s 450th birthday, Hildegard Hammerschmidt-Hummel, a professor of English at Mainz University, Germany, has identified two obscure archival photographs as being previously unknown portraits of William Shakespeare. 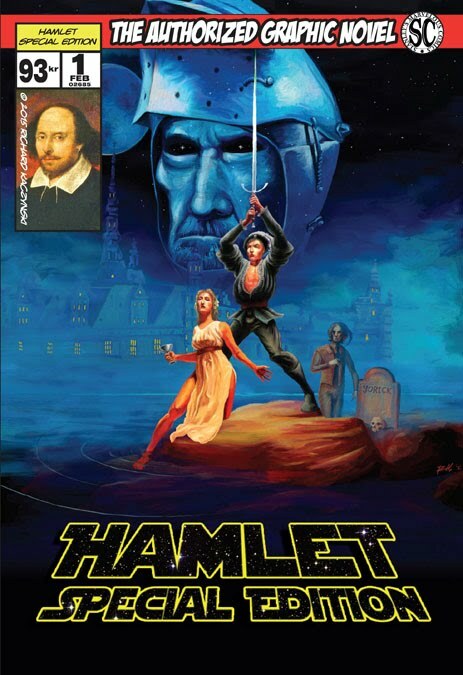 One shows the playwright around age 30, while the other depicts him twenty years later. The 2.4’ x 2’ portrait of young Shakespeare was a gift of Thomas Hart, a distant relative of Shakespeare, to Prince Franz (1740–1817), who returned with it from a trip to England around 1763 or 1764. It hung in the bedchamber of the Gothic House of the Dessau-Wörlitz Garden Realm until it was seized in 1945 by the Soviet army. The original has since been lost, but a high quality monochrome photo from 1936 survives in the Photo Marburg Picture Archive. 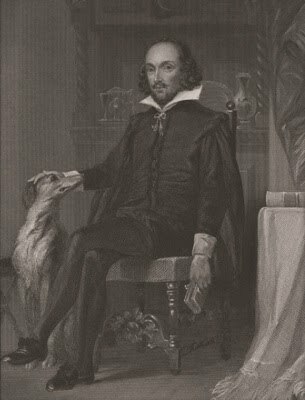 The other painting is found in a rare, richly illustrated 1824 book by James Boaden, An inquiry into the authenticity of various pictures and prints, which, from the decease of the poet to our own times, have been offered to the public as portraits of Shakspeare, where it appears as an uncaptioned engraving. These two images were compared against four other genuine images of the Bard: the Darmstadt Shakespeare death mask, the Davenant bust, the Chandos, and the original Flower portraits. A combination of forensic imaging, 3D-measurements, laser-scanning, and computer montage were used to authenticate the two new portraits. Two newly-identified portraits depict the Bard in youth (above) and later life (below).